Irish tartans tend to be associated with different Counties and districts, unlike Scottish tartans which nowadays are more closely linked to clans and families. 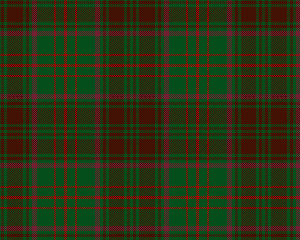 There are to date over twenty five thousand Scottish tartans registered, nowhere near that number can be claimed by the Irish. In fact the number of Irish County tartans number around thirty two. 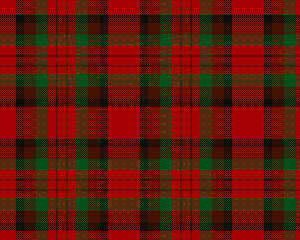 These County tartans are all fairly modern, having been designed and manufactured mostly for the Irish-American market. It is interesting to note that they are all designed and produced in Scotland, so it calls into question whether or not they can truly be considered Irish tartans. Indeed these County tartans are largely unknown in Ireland, and are difficult to obtain there. Just to give you an idea of how Irish County tartans look, you can see three of them photographed below. There are only three tartans which can be identified as being distinctly Irish. These are Ulster, Tara and Clodagh. You can see a photo of Tara below. The Ulster tartan dates from around 1590-1650, and is believed to be Scottish in origin, Tara made its first appearance around 1880, and was originally called Murphy, and Clodagh was first noted in 1971, with its original designer and appearance uncertain. In Ireland today the kilt is still seen as primarily Scottish, and as such it is unusual to see it being worn on the streets on a day to day basis. That being said, Irish tartans are on the increase and the Irish kilt is very popular especially in North America, where millions of people can claim Irish heritage. 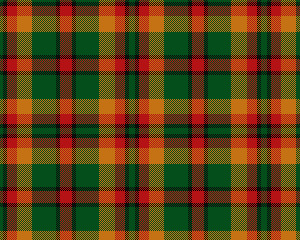 In fact there is even a tartan called Irish American, see photo below. If you would like any further information on these tartans, or have any other kilt related questions I would love to hear from you. You can contact me using the simple form on the "Contact Us" page.